The health insurance exchanges opened enrollment November 15th to enable those who are uninsured to shop for insurance coverage for 2015. It looks like a big turnout according to the morning news on Monday, November 17th. Obamacare 2.0 is off to a start without a hitch so far. If you already have a plan from 2014 you may have to pay more to keep it. If you don't mind change, a better price with more benefits, might be in your deal. You will make new alliances with healthcare providers without looking back. New choices might save you save you in the pocket, but, choice wisely for your life might depend on it. On the flip side, who has time to do the research or make changes after getting cozy with your present health providers during 2014? States show different options -- so maybe keep an open mind and one eye open for your state's offerings. Saving money is good, however, don't short change yourself in terms of what you may pay out before benefits kick in. 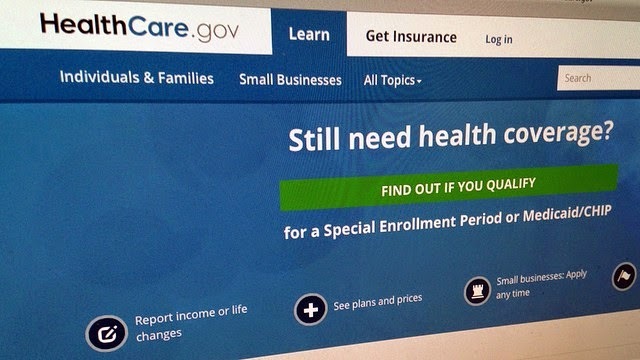 According to an article in the New York Times today, the Obama administration on Friday unveiled data showing that many Americans with health insurance bought under the Affordable Care Act could face substantial price increases in 2015 — in some cases as much as 20 percent — unless you switch plans. The data became available just hours before the health insurance marketplace was to open to buyers seeking insurance for 2015. Statistics from Gallup.com website relating to the third quarter of 2014, uninsured rate in the U.S. was 13.4 %, the lowest going back to 2008. How long will that be the case as each state has different offerings and for some folks while having no offering (low income status) for others who just cannot sign on. It's predicted we're going to see higher prices within the next year, until around 2016, but how much will Americans have to pay out until more affordable prices and less deductibles and co pays take a step back when and if it all really becomes affordable for everyone. No secret to most of us is that Gallup has previously found that Americans' level of satisfaction with the healthcare system partly depends on their party identification. Currently, about three in four Democrats and Democratic-leaning independents are satisfied with their healthcare situation, compared with 60% of Republicans and Republican leaners. How will the satisfaction level remain favorable when buyers are once again asked to leave their comfort zone with what insurance they now have -- most likely asked to move to a different plan? Results will soon be on the table for social media to "kick" around. Our leaders may smooth out the rough spots or dump it.. Gads. It 's a no brainer that with republicans at the helm some things will change. Will potential buyers in 2015 bring down the latest poll from a satisfaction level in 2014 of 67% to a new low? Will an Arctic blast plummet the numbers of potential new signs -- sign off rather than sign on? How much will our new congress want to ditch? As waves are so often unpredictable in their journey to shore, can the Affordable Care Act stay afloat? We will soon find out who the winners are and who the losers are, and I mean we the people, not the parties we have voted in. I don't know if I agree yet with President Obama that's it's a "win-win," for all of us . Open enrollment ends on February15, 2015. (Note these dates do NOT apply to Medicare open enrollment, which is December 7th.) Take your time and get the best plan offered. Or, stick with what you know if it fits all your needs. Get a clearer picture and try the following links. I will continue to update this article as new information comes along. Good luck and stay healthy!